From Goodreads.com: Derek Egan, the dashing Duke of Westwood, is well aware of his looming deadline. But weary of tiresome debutantes, he seeks a respite at his country home in Essex—and encounters a man digging on his property. Except he's not a man. He's a very lovely woman. Who suddenly faints at his feet. This was one of those stories that I was so looking forward to that the actual deliverance left me truly disappointed. So we can end on a positive note, let me begin with all of the faults I found in this story. The insta-love between both Catherine and Derek, as well as her sister Madeline and Derek's cousin is something that I wish would die. It is so overdone these days, and more often than not its insta-lust not love. How do you truly love someone you don't know (and no that isn't a dig at Derek for lying to her). The main issue however, was despite the horrible things Catherine's "boorish Viscount" did, despite the mistreatment she suffered both by her father and the man he tried to force upon her, in the end, nothing was done about the threat. Sure a short term plan was enacted, but what happens next? A threat is nothing when you think of all the ways the Viscount could hurt Catherine. I feel like there should have been more closure where that story-line was concerned. I would also have liked to see some form of private reconciliation between Catherine and her sister and their parents especially. It seemed a huge thing for them to overcome (even with the passage of time) that I would like to know HOW it happened. Did their father mend his ways? Did he apologize? If there is one thing I hate, its loose ends and this book had too many for my liking. However, I did say that I would end this in a positive note, and that is that this story (when you get passed all of the eye rolling I am sure you will do as they profess their love for each other within days of meeting, then Catherine learns the truth and makes him jump through the proverbial hoop to reconcile) this is a fast paced read. 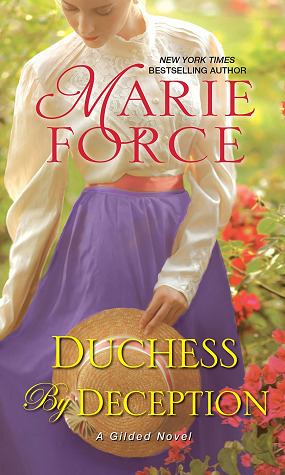 I am sure that I am in the minority in my opinion of this novel, as do believe it will still appeal to some historical romance readers.